Harmonian is a Greek company selling organic, high quality food worldwide. But when you peek at their website or see one of their packages, you quickly realize there's much more to it. They sell extraordinary products, but they also sell a concept, a whole experience focused on quality and simplicity that today is more relevant than ever. We thought Harmonian was the perfect sponsor for Issue 7. "Harmonian is a collection of products that address 21st century palates, respect inquisitive individuals and casual gourmands," they explain. And they have decided to start from scratch, changing the way we look at the most basic ingredients. 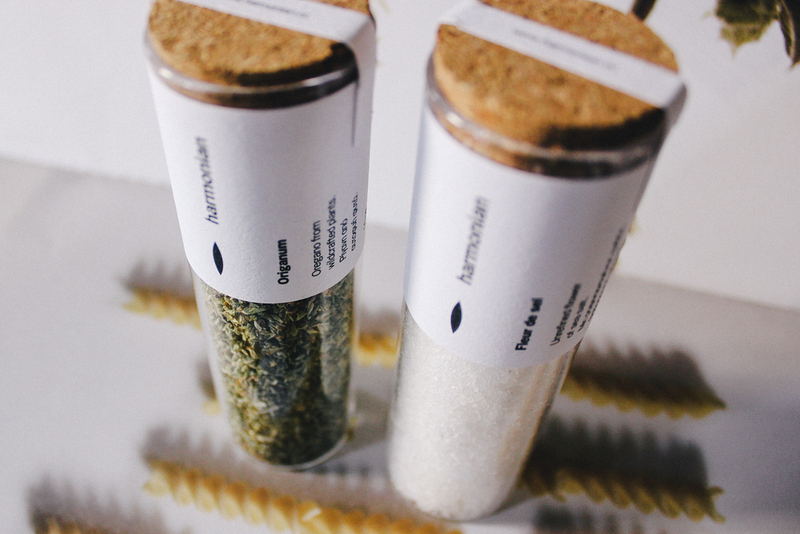 Within their selection you'll find flour and pasta—made from "Triticum dicoccum" grains, the earliest cultivated form of wheat—flower of sea salt from the Mani region of Laconia and wildcrafted herbs like oregano and mint. And since they're from the Mediterranean, there is oil too. Rich and silky Greek olive juice that will elevate any recipe. And then, there's their design concept. From the beauty of a website, to the simplicity of each and every package. Harmonian has completely nailed it.